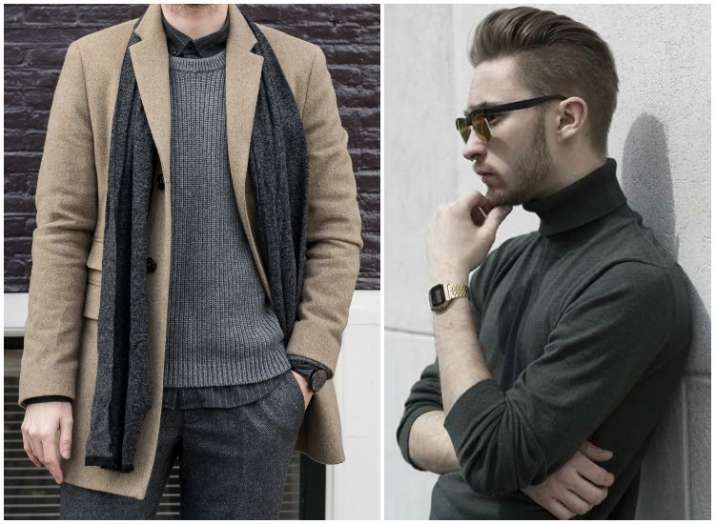 Fashion tips for men: Five easy tricks on how to pick warmest workwear trends this winter. Read on to find out! After looking at international trends and styles that are big on experiments, we have shortlisted a few trends that can help the Indian men change their winter workwear game. A new trend that has very well made its entry into the corporate sector but one should make sure that the choices should be kept subtle with basic shapes like maybe Adidas Stan Smith and even the colours should be either black or white with similar coloured laces. A splash of colour can help break up the workwear palette. Maybe like a red jumper, startling blue jacket or some bright pop scarves can add that edge too. Double-breasted jackets made a comeback last year in the Indian market but internationally they have been present since long. The major myth that prevailed among Indian men was that it doesn't suit the average Indian fit but there are some tricks that can undo the same. Like avoiding shoulder pads and go for the narrow lapel. Also, always remember to keep the last button unbuttoned. A look that we personally love is pairing blazers/jackets with turtlenecks. Go for contrasting colours as they look really good. Another benefit is that this look will keep you warm in this extremely cold weather. Keeping the temperature that is touching new lows this year, we can't forget the winter staple that is comfortable yet stylish - overcoats. Trenchcoats, peacoats, double or single-breasted and duffels are just a few types of coats good for men. Layer the look with shirts, pullovers to keep it warm. If you're opening yourself to a little experimentation, why not go all the way? We're talking about suits in geometric patterns. Try stripes, mini & micro checks. Do away with plain, block-coloured suits.